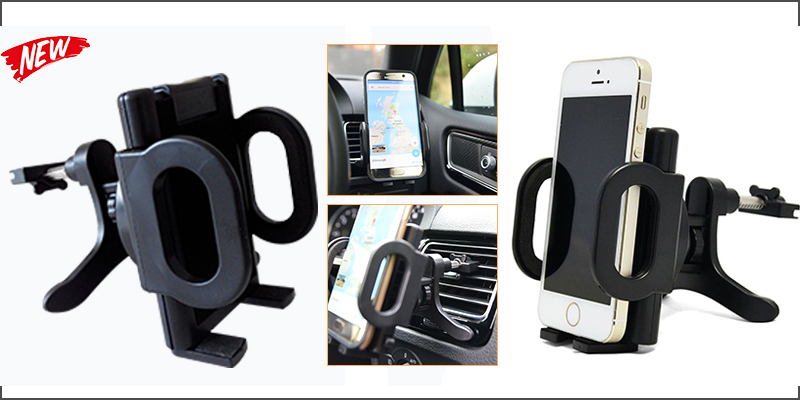 The Air Vent Clip Holder Is Designed To Hold Your Phone Or GPS In Place For Use Whilst Driving. Insert your smartphone, adjust up and down,tilt, and rotate 360-degrees with one hand for safer driving. Expandable support arms (up to 110mm)firmly hold any device up to 4.5 Inches. Support arms fitted with foam insert for non-damaging secure holding. The adjustable bracket at the bottom creates a resting shelf for additional support. The Vent Connector Can Fit Horizontal &Vertical Vents. No suction cup, no sticky pad necessary. No tools required.